American Zen began in 1992 when Richard Del Connor, then known as, "The Coyote," moved to Salt Lake City, Utah. Leaving behind his Shaolin Music publishing business which had just signed A.N.K. of England... well, aside from the shmoozing and networking in Los Angeles, Shaolin Music has been the copyright administrator for all Shaolin Records and Shaolin Communications projects since 1984. So Shaolin Music didn't get left behind. ... so Coyote became a Mr. 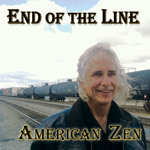 Mom and in his isolation, became the one-man band, American Zen. 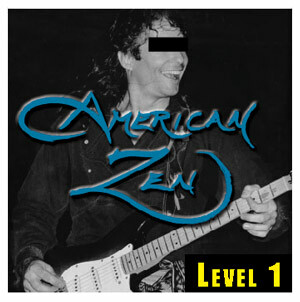 The first American Zen album, LEVEL 1 = Peace of Mind, tells the story of Coyote's search for peace of mind in Utah 1992. The songs are in the order they were written except for the first song, "Peace of Mind #2," which was the last song written and recorded for the album. "I was tired of singing that original "Peace of Mind" song," explains Coyote. 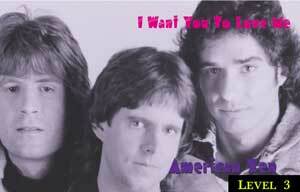 "It wasn't inspiring enough to start the American Zen music journey." 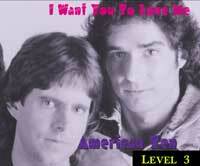 The first song of LEVEL 1, "Peace of Mind," was rerecorded and included on the following album, LEVEL 2 = Christ Killer. 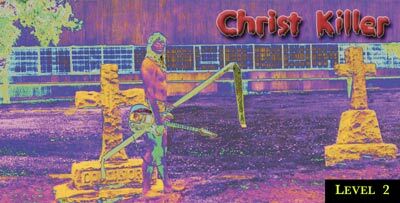 The Christ Killer album has its songs in almost the order they were written. 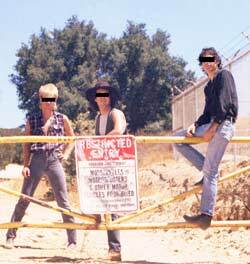 Coyote released dozens of American Zen Buddhist Rock Podcast podcasts during the album's production in Tujunga, California. Some of the rough tracks were presented in the podcasts. The songs of Christ Killer were written in Utah during his altercations with the Mormons who boycotted his "California Hippie Buddhist Kung Fu" teachings. Christ Killers are anyone who uses religion to hurt or hinder the lives of other people -- unlike Christ would. Somebody killed Christ. Are you one of those type people? Are you a Christ Killer? Check out the album to be sure you're not gonna nail our future to another cross. "All Around the World" has a unique drum beat that Coyote created for the song. "Musical Woman" is powered by the dark deep sound of Coyote's low-tuned drum set. Madonna should record this song. "In Dreams" shows that Coyote has potential as a commercial drummer who sounds like Ringo Star. As Coyote graduated to the 3rd Degree of Freemasonry in 2009, the next album shifted from being songs telling his personal story to songs portraying the life of Hiram Abif, the murdered architect of King Solomon's Temple (an important hero of ancient Freemasonry). 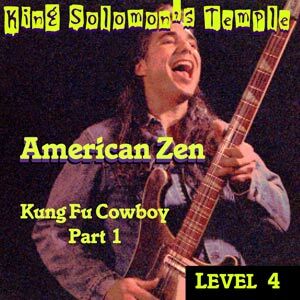 King Solomon's Temple is the best produced album of American Zen as record producer, Richard Del Connor, masters ProTools in his Montrose apartment. Richard's production techniques blossomed with his multitude of basses, percussion, and vocals all performed by himself as The Hippy Coyote. "Kill the Spider" has 4 bass tracks on it. "My Life Belongs to Me" has 12 vocal harmonies. 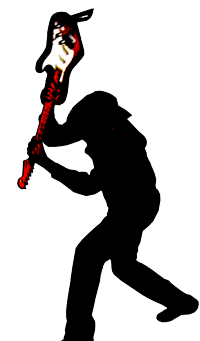 "Flintridge Fire" has no electric instruments recorded on the song. Fingersnaps, handclaps and tambourine provide the percussion as Coyote leads an exciting instrumental adventure on his Alvarez acoustic guitar in the tradition of ancient Spanish classical music. After the release of LEVEL 4 = Kung Fu Cowboy PART 1, Coyote's computer blew up, he lost his van, had his guitar stolen, and became homeless as his son went to live with his grandpa, daughter moved in with her boyfriend and ex-wife went back to Utah. Coyote's been a nomad, working as a stagehand the past couple years and in 2013 wrote the screenplay, KUNG FU COWBOY ROCK & ROLL MOVIE 1 with Scott Karahadian. This movie will be the rebirth and birth of American Zen as three musicians will be hired and cast to portray and perform as American Zen with The Hippy Coyote. Steve Hixon on drums. Rory G on rhythm guitar. Tom Calder on bass. The Hippy Coyote on flute, vocals and lead guitar. COYOTE TALENTS list = "What I need an agent for!" This is the first album by American Zen that does not include poetry. There are a lot of poems written during the past two years, but some of the best are rather harsh, and some are spiritual and some are... but we decided to not record any of them. No poems were recorded for the album. "Use Me" is the song that starts this album and this difficult odyssey of Coyote in Las Vegas, Nevada. "High School Graduation" takes place in San Diego as Coyote returns to retire there and move the headquarters of his nonprofit corporation, Tai Chi Youth there. "Scorpion Resurrection" was written for the Kung Fu Cowboy Rock & Roll Movie, becoming the subtitle of the movie. "Secret Asian Girl" was written for the Kung Fu Cowboy Rock & Roll Movie 2.